At a time when the startup ecosystem is flooded with news regarding funds going dry and markdowns, venture capital firm IDG Ventures India Ltd a programme to find and invest in new consumer-facing Internet startups. We asked Karthik Prabhakar, director and head of fundraising, at IDG Ventures India Advisors, about what was the idea behind the firm’s decision. Amid a down round and markdowns, why did IDG choose to ramp up investments this year? 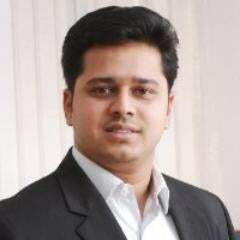 Karthik: The market is abuzz with a lot of interesting ideas executed by solid teams trying to solve large unmet needs. The market ecosystem continues to remain buoyant for seed and early stage startups and this is a great time to enter early. We believe that the froth / clutter in the market has reduced and hence great for traditional VCs to continue to invest as they always used to. Case in point is that there have been 90 VC investments in Q1 worth $270 M+ compared to 120 investments in the same quarter of previous year (Source: Venture Intelligence). Hence, there is no real drastic slowdown in the early stage investments as such. The firm, whose portfolio includes names like Zivame, Myntra and lenskart, said it would shortlist 15-20 companies each for the Bengaluru and Delhi meetings. IDG said this program was open to startups from Tier-II and III cities as well. What are the qualities that your firm would be looking in these startups prior to investing in them? Karthik: The bar for selection of investment opportunities remains unchanged across sectors. We look for strong teams with solid knowledge on the space targeting large market opportunities, strong entry and exit barriers that can be built into the solution offering, how well they understand the target consumer behaviour, ability to create venture returns for investors at exit. There is a lot of cheer from investors regarding B2B startups, what according to you is the main reason for that? Karthik : Many B2B startups are maturing and getting to a level in terms of monetization that is meaningful. Earlier, there were only a handful of B2B startups focused on global markets like Manthan Systems and Fintellix that were more license- based which required deep domain knowledge to build the product and sales expertise to penetrate the market. The current environment of SaaS supports B2B startups to start and scale quickly – examples are abound like Unbxd Software, Heckyl Technologies among others. Consumer focused opportunities continue to remain attractive, but the expectation has now graduated from pure aggregation of goods and services to greater differentiation in the product offering which the existing larger players cannot get into in the near term. What are the qualities that you look for in an entrepreneur today? Does a background in IIT/IIM/any A league college make a difference? As an investor, what is your individual opinion about an ideal investor-entrepreneur relationship? : An ideal relationship is built on trust and transparency. Given investors are on boards of companies for long durations spanning 5 – 7 years, it is important that neither side is second guessing the intent of the other party. Both investors and entrepreneurs need to work on building this in right from the beginning and that happens through transparent and open conversations on expectations and outcomes. Interests need to be aligned. Sharing expectations upfront and keeping dialog open at all times is the key to a successful investor-entrepreneur relationship. Karthik was an active part of the team advising on the exit from investment in Manthan Systems. He holds a Bachelors degree in Information Science from RV College of Engineering and an MBA (PGDM) from IIM Bangalore.